Make sure all doors and windows have secondary locks (window pins, deadbolts, dowels, etc.) and use them! Don't hide spare keys in mailboxes or planters, or under doormats. Ensure that dark areas and entrances have outdoor lights that are turned on after dark or are activated by sensors. Keep trees and shrubbery trimmed so they do not conceal doors and windows. Remember, overgrown foliage can provide a hiding place for criminals. Place gifts where they can't be seen from the outside. Consider safe deposit boxes for coin and stamp collections, seldom-worn jewelry, stock bonds, etc. Be sure to mail cards, checks or gift certificates from the Post Office or at a blue U.S. Postal Service collection box. Lock your vehicle and remove all the valuables. Yes, even in your driveway. Use caution anytime there is a stranger at your door. Be suspicious of unexpected sales calls or deliveries. Ask for identification. Be aware of scams that criminals commit to take advantage of people's generosity during the holidays. Investigate charities before making donations. Ask how the funds will be used. 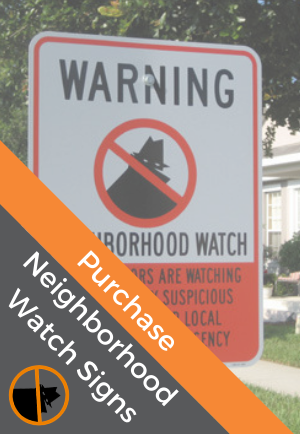 Ask a trusted friend, neighbor or Neighborhood Watch member to watch your home. Use timers for lights and radios while you're away. Remember to make arrangements for mail and newspapers. Don't advertise expensive toys, electronics, or other gifts received by the boxes left for garbage collections. Compress large boxes and place them in black garbage bags for pick-up. Add new items to your home inventory. Take photos or video of all items of value in your home and list each item's make, model, serial number and other information. Engrave new items to help identify them in the event they are stolen. Check with your delivery company to make sure your package was actually delivered. Know exactly what’s in the missing box. If you see the thief, pay attention to what his or her vehicle looks like and its license plate number. Second to that, get the thief’s physical description – gender, approximate height and weight and what they’re wearing – so you can tell an officer. Call 911 and ask for an officer to come to your home. If you have a security camera on your home, get a copy of the video to police. Ask your neighbors if their cameras captured the thief in action.